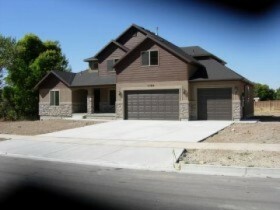 Springville Homes for Sale; Springville UT Sold Home. Our search offers the best online, live search engine in Utah County. The search has listings of all Springville Homes, condos, and townhomes for sale. When you subscribe to our Buyer's Club you will receive daily emails of every new listing and price change within your search criteria. You will have free unlimited access to every home listed for sale in Utah County. Remarks: At the Mouth of Hobble Creek Canyon, Spectacular mountian views, loaded with upgrades. Excellent design with master bedroom on the main level and a deep 3 car garage. A CMA is a Comprehensive Market Analysis that evaluates recent sales in Springville and provides you with an estimated price range for which your Springville home might sell in the current real estate market. In order to prepare a CMA, a local Springville REALTOR must view your home and compare your features to that of comparable properties. Paul Teasdale your local Real Estate Broker has been selling homes in Springville for 20 years. In fact, Paul has lived in Springville and currently lives in Mapleton, Utah. He has sold over 1,100 homes in Utah County and several hundred homes in Springville. He will give you a free accurate analysis of what your Springville homes is worth. CMA reports generally contain data on three types of comparable listings in Springville: Active, Under Contract and Sold homes. We generally try to stick to sold homes but sometimes will add active or under contract Springville homes if we can't find good comparisons. Under Contract are formerly active listings that are now under contract. While the actual sold prices of these Springville, Utah County Listings are not available until the sale closes, pending sales will give you an indication of where the market is headed; if your home is priced above the list of these pending sales, you may face a longer time on market. Sold listings are Springville homes that have closed within the past six months. Along with the pending Springville sales, these are the listings used by the appraiser to determine your home's market value.